Traditional cut flowers quickly fade and lose their colorful charm. 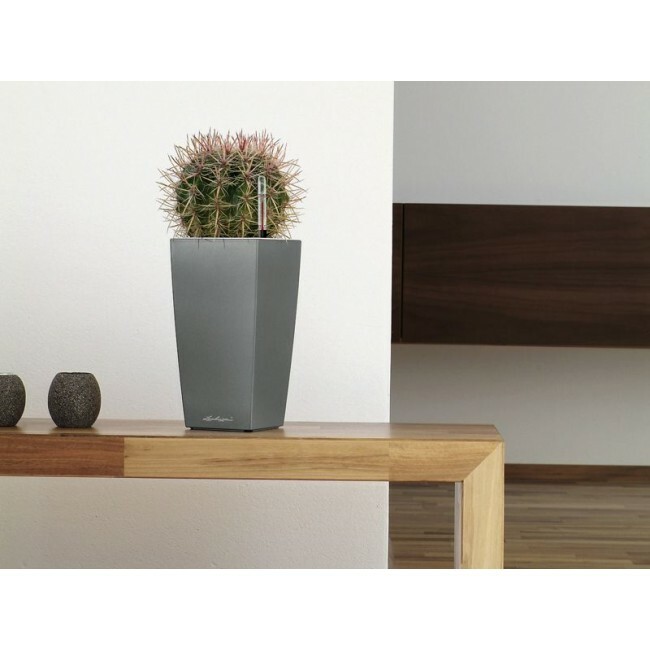 No so with the Lechuza Mini-Cubi planter. 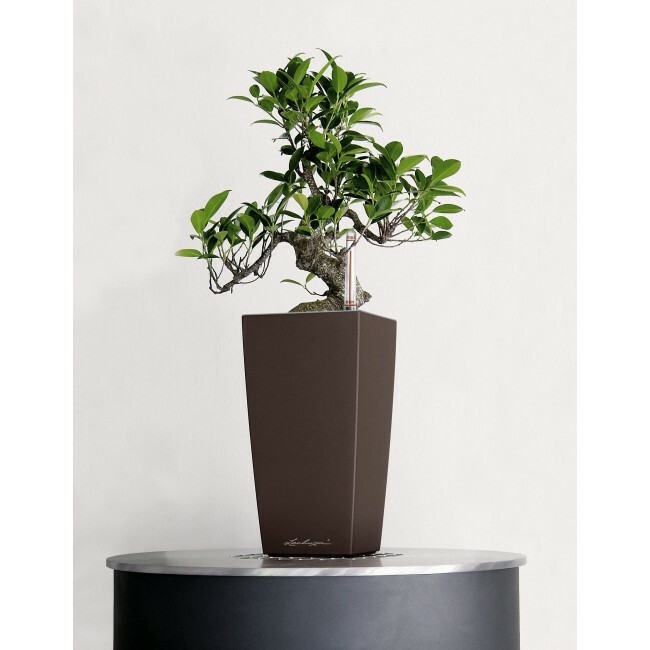 This small flower pot is ideal for every landscape because it never fades. 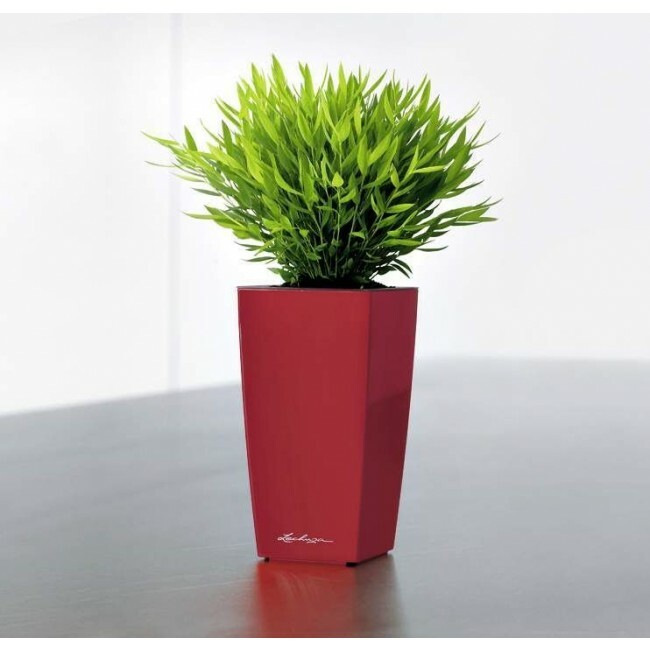 Available in eight brilliant colors, the Lechuza Mini-Cubi is sure to impress. 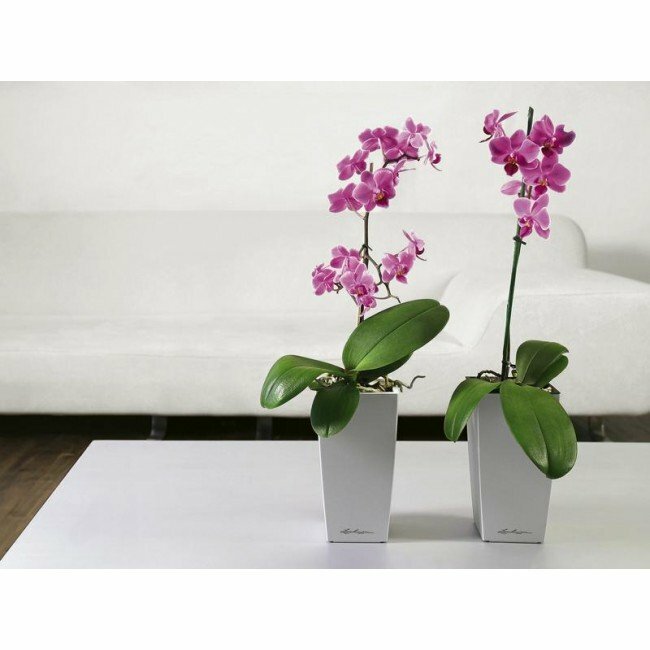 Charmingly placed on a counter or desk, or lovingly planed as a table decoration, this small planter is the perfect choice. 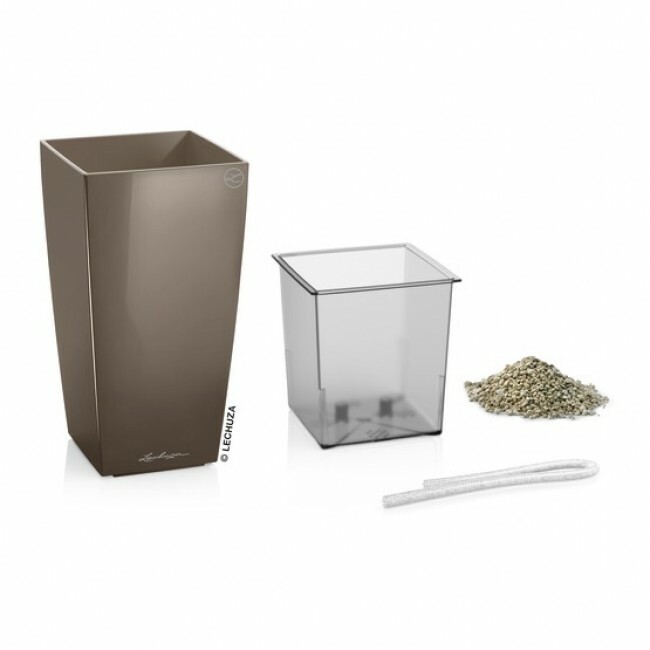 The Mini-Cubi ships as an all inclusive set containing the sub-irrigation system and Lechuza PON Plant Substrate. 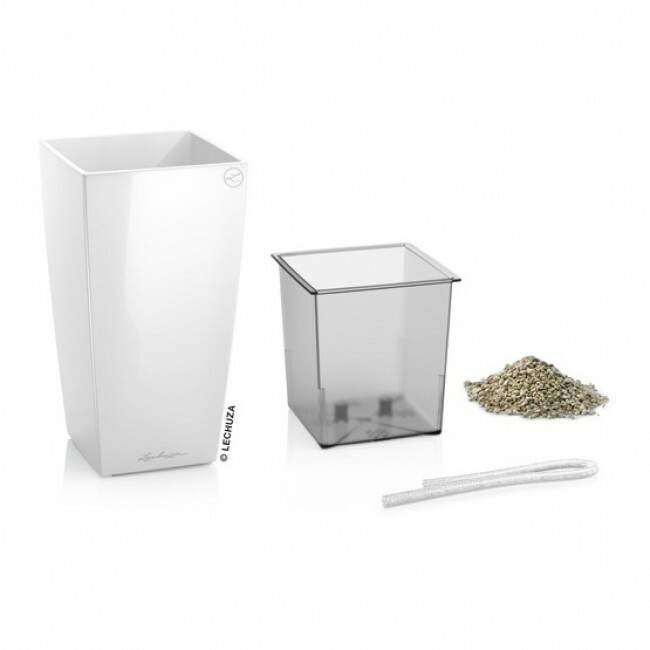 Use the plant substrate as a separating layer in the sub-irrigation system for maximum plant growth. 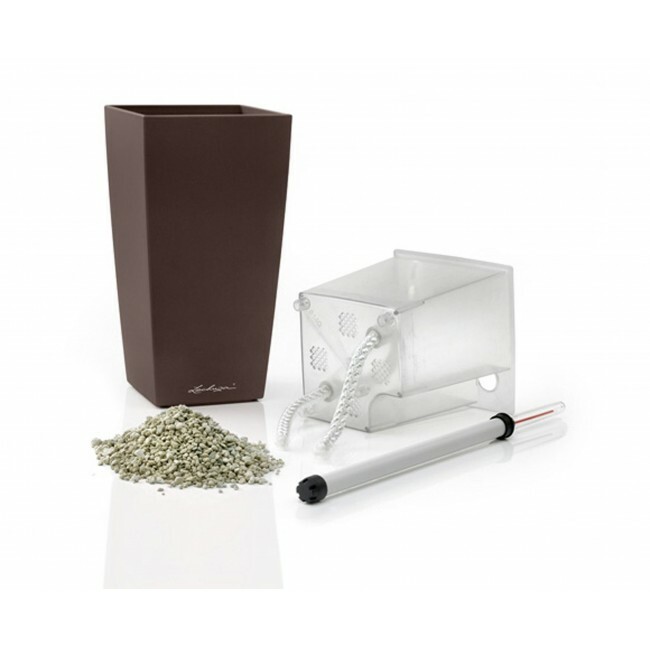 The included sub-irrigation system makes growing and maintaining plants in this small flower pot a breeze. 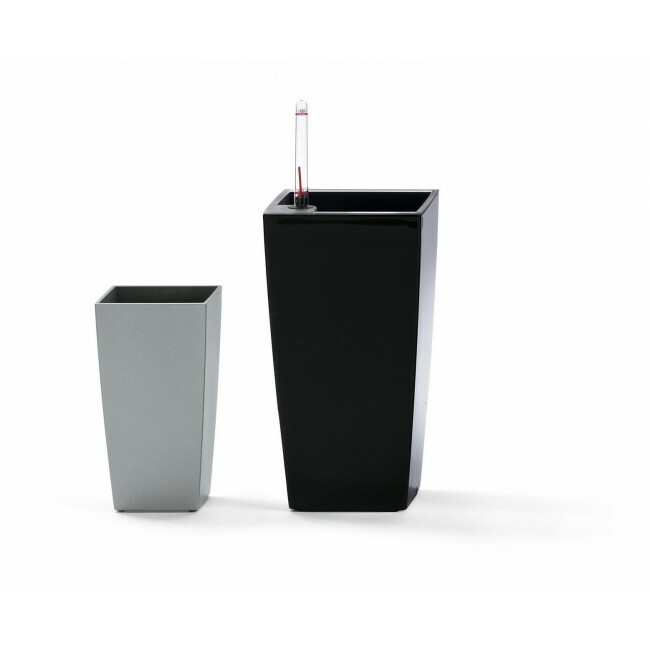 Simply create a water reservoir by placing the separator into the base of the container. Next use the included Lechuza PON to form a water regulating layer over the separator piece. 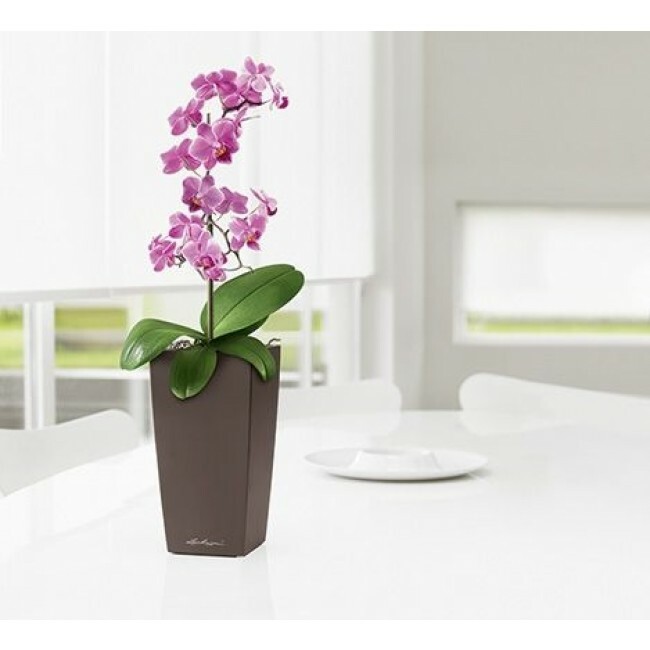 Apply a layer of potting soil over the PON, place your plantling in the pot, and continue to fill with soil. 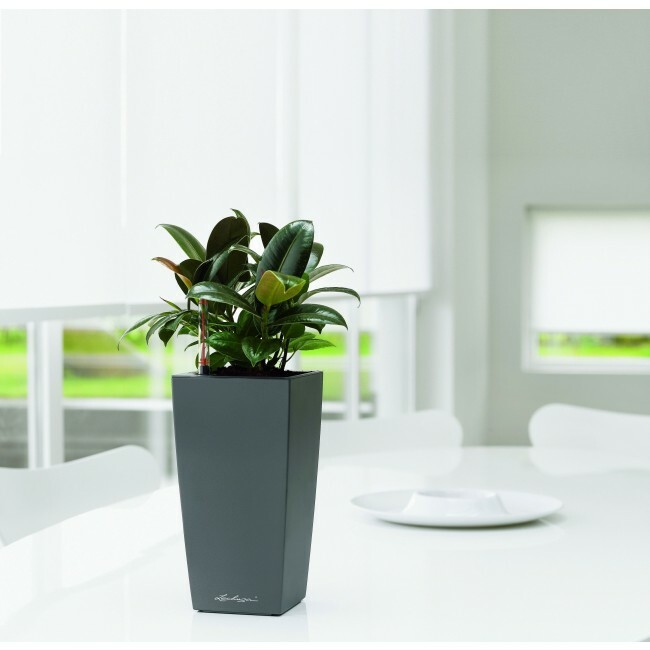 Once installed, top water your greenery as normal for the next twelve weeks. Don't forget to fill the water reservoir via the supply shaft on the inner wall of the planter. This shaft is also ideal for adding liquid fertilizer. 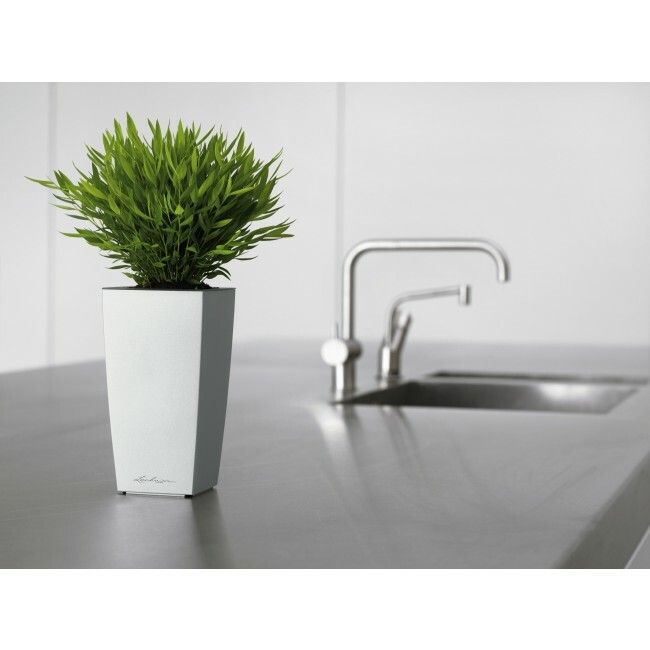 Your plant will become self-sufficient for up to twelve weeks once its roots have grown deep enough to soak up the water from the basin below. When this happens, the water level indicator will drop.